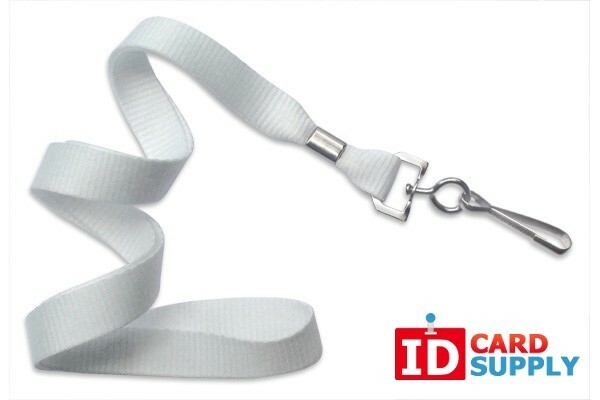 IDCardSupply's white lanyards have a woven 5/8" neck strap, which is comfortable to wear all day long. Packaged in batches of 100, these come at the cheapest price around! The strap is made of modernly engineered microweave polyester, which is a soft ribbed material. You can even try them out with a badge holder or simply attach the nickel plated swivel hook to your badge. These lanyards are soft and light enough that you will not even realize you are wearing one!